Rietveld built a number of houses in, among other places, Utrecht. A route through this city soon leads architecture enthusiasts from the Centraal Museum past other Rietveld objects to this exceptional house, and back again. 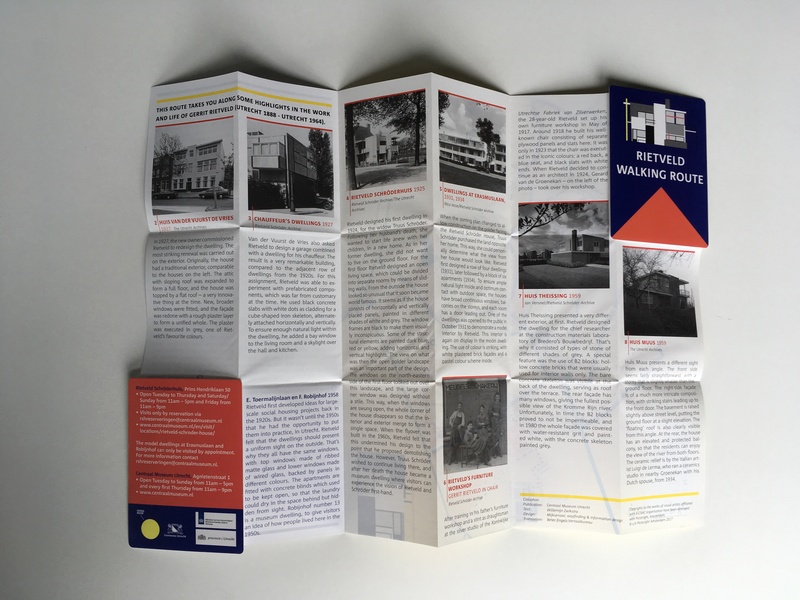 At Mijksenaar wayfinding experts I designed and conceived the new route for the ‘De Stijl Year’ (2017). 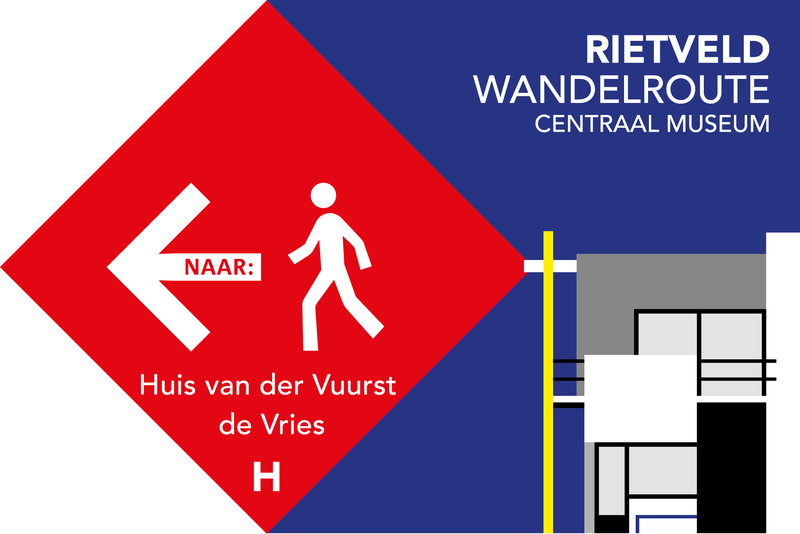 A map providing background information and route signs (see above) in the city helps visitors get started. 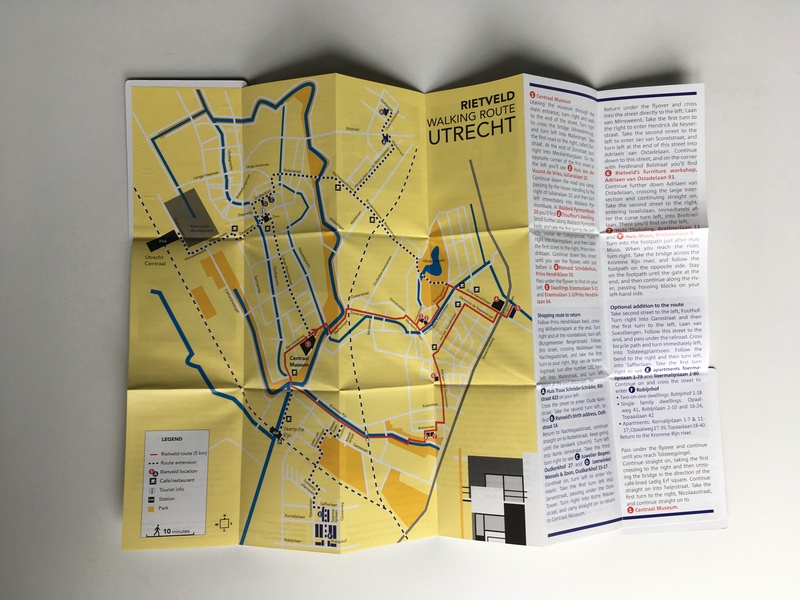 These tools provide the residents of Utrecht with an introduction to one of its own world-famous residents. The colors used in the design are directly derived from the colors of the house, and refer to the art movement De Stijl.